Lil Wayne suffered a seizure during a cross-country flight, forcing his private jet to make an emergency landing in Nebraska … TMZ has learned. Wayne was flying from Milwaukee to California when the seizure struck — and we’re told he’d blacked out when the pilot put the jet down Monday afternoon in Omaha. Paramedics are at the airstrip right now, and Wayne is alert again. As of 1:30 PM PT … we’re told he’s refusing medical treatment. The same thing happened to Weezy in 2012 … when his private jet made emergency landings two days in a row. He also suffered seizures in 2013 — one of which was nearly fatal. 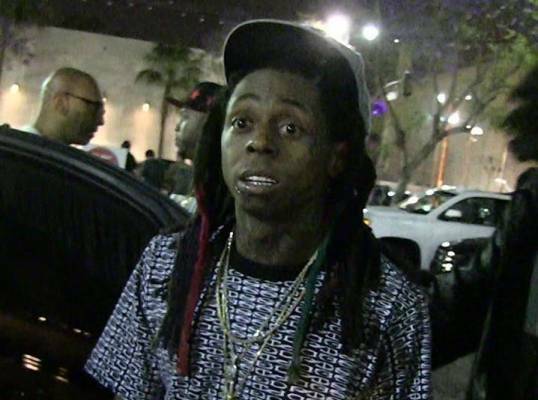 Wayne has said he’s epileptic and has suffered seizures since childhood. Thanks be to God that his was preserved. Let us take our health seriously.